On Thursday Mexico's president rudely canceled a planned meeting with President Donald Trump after the U.S. president demanded Mexico pay for the border wall. Mexico's President Enrique Pena Nieto hurt by Trumps tweet responded back on Twitter. President Trump said in his Twitter message on Thursday that Mexico's president should cancel his scheduled visit to Washington if Mexico refuses to pay for the wall. The boarder wall is a major promise Trump had for Americans during his election campaign to curb illegal immigration. 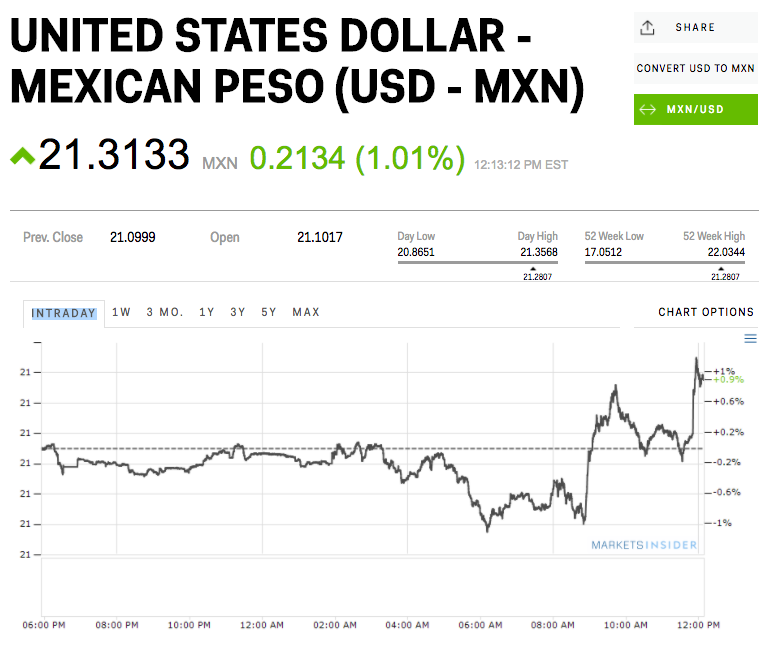 Mexico's peso tumbled to 1 percent after Mexico's president, Pena Nieto fired his tweet, announcing he had canceled a scheduled meeting next week with President Donald Trump. As of 11:57 a.m. 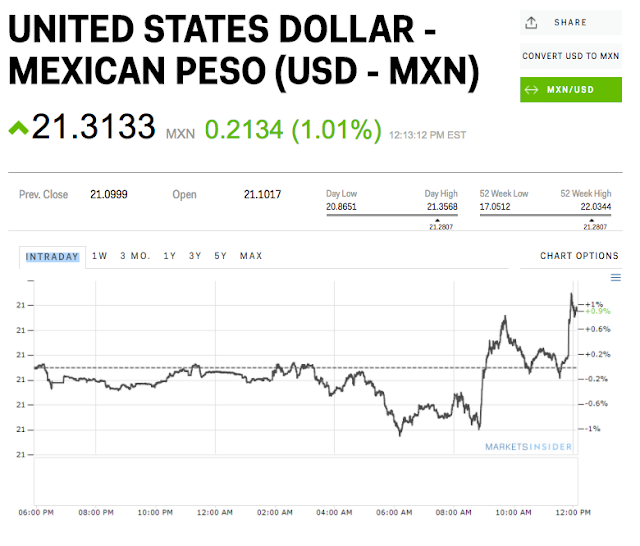 ET, the peso was down by 1.2% at 21.3175 per dollar. "This morning we have informed the White House that I will not attend the meeting scheduled for next Tuesday with the @POTUS," Peña Nieto tweeted.